Each year, thousands of people in the 10022 area, including Midtown East and Midtown West, seek out smoking cessation plans and make a vow to finally quit smoking. Unfortunately, many find it difficult to quit and give up on their resolution. Nicotine is a powerful addiction, but the good news is, with the help of a chiropractor at Balanced Health Medical, smokers can utilize the benefits of acupuncture to give the habit up. Acupuncture isn’t a magic cure. Acupuncture and a Midtown chiropractor are effective tools to make it easier to quit and remain smoke-free. How Can Acupuncture and a Hell’s Kitchen Chiropractor Help with Smoking Cessation? With the combination of acupuncture and our Balanced Health Medical chiropractors, smokers will be able to reduce their nicotine cravings as well as lessen the withdrawal symptoms that are often associated with quitting. A successful acupuncture program will include patient commitment, preparation and education about how acupuncture can and cannot help you quit smoking. 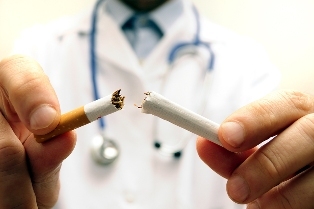 A chiropractor that smokers consult with about quitting smoking will first interview you to learn about your smoking habits as well as do a physical examination, both of which will be helpful in creating a plan specifically for you. Your acupuncture treatments will focus on the cravings, the restlessness, irritability and jitters that many people experience when they quit smoking. Your treatments will also help with relaxation and detoxification. It is also important to learn affirmations (positive statements) that you can tell yourself regularly. You will also need to learn to manage cravings. For example, chew on gum, do breathing exercises or exercise. The length of time and number of treatments for an acupuncture smoking cessation program at Balanced Health Medical will vary. However, most treatments last from 5 to 30 minutes and you will visit the chiropractor for acupuncture one or two times a week. Once the symptoms are under control, you will probably have scheduled visits once a month for up to six months. Are you ready to give acupuncture a try so you can give up smoking? If so, call Balanced Health Medical at (212)-755-1717 to get started. We are located at 133 E 58th St #1101, New York, NY 10022.